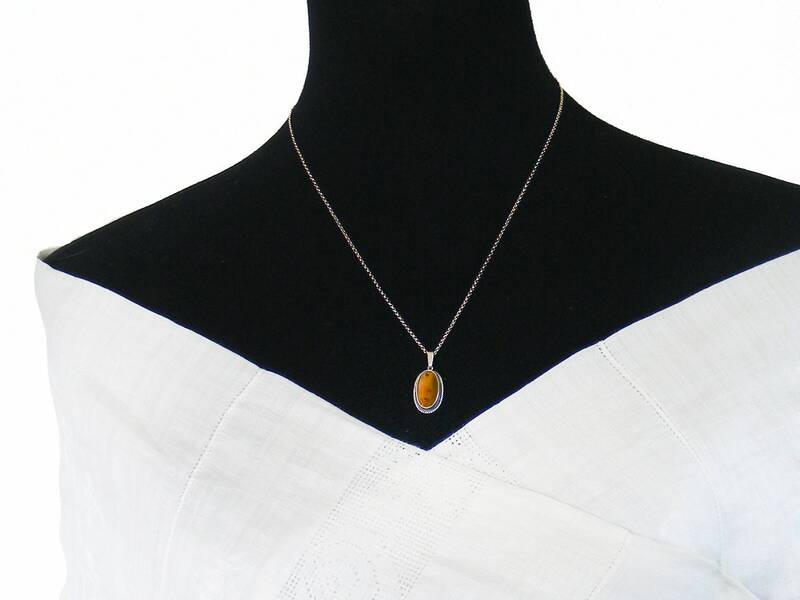 A petite and lovely Baltic amber and sterling silver pendant with collar set amber cabochon and a fine rope twist edge. 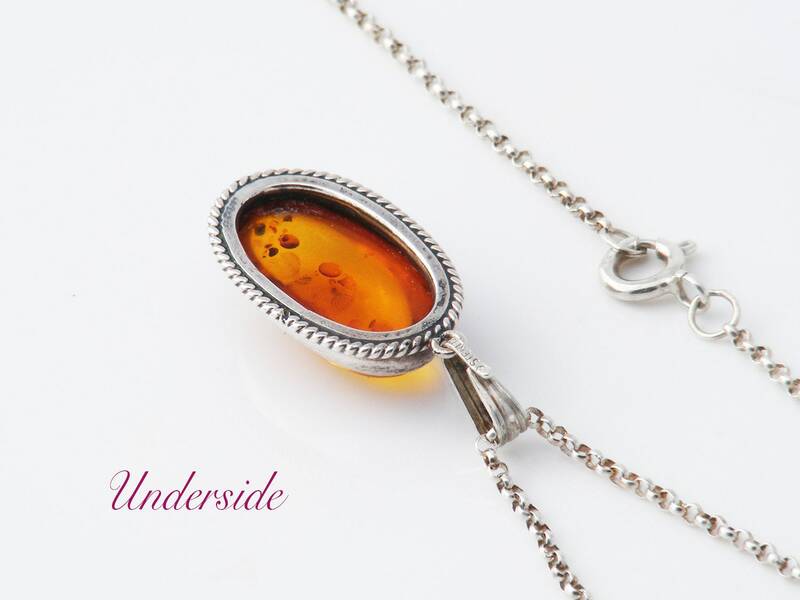 The richly colored amber has the golden floating 'lily pad' inclusions sought after by collectors of amber. Sterling silver with the suspension bail stamped 'STERLING'. 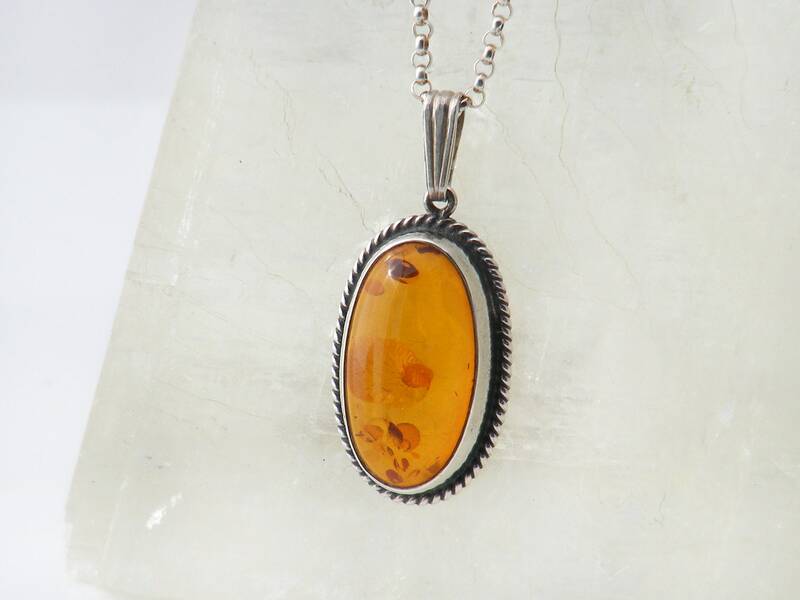 Baltic amber, golden orange in color with floating lily pads that look like disks of metallic gold. 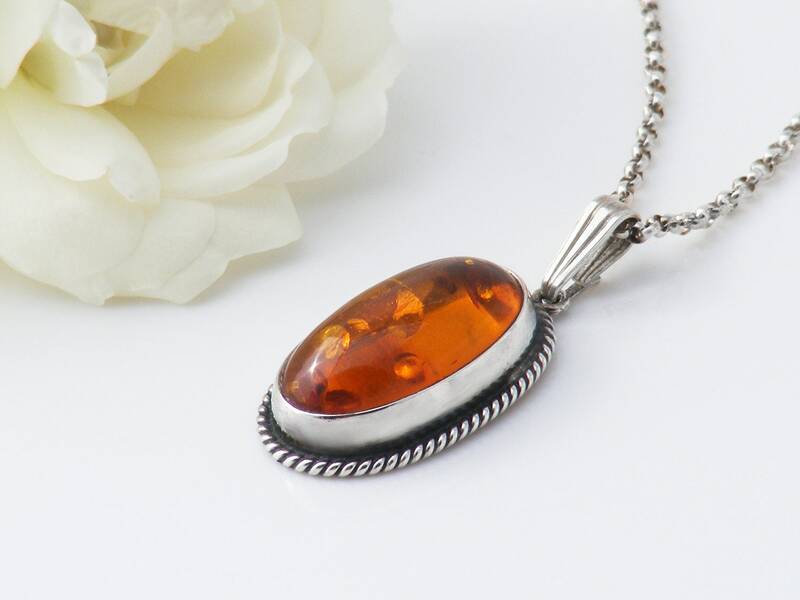 The amber is highly polished and has nice luminosity. 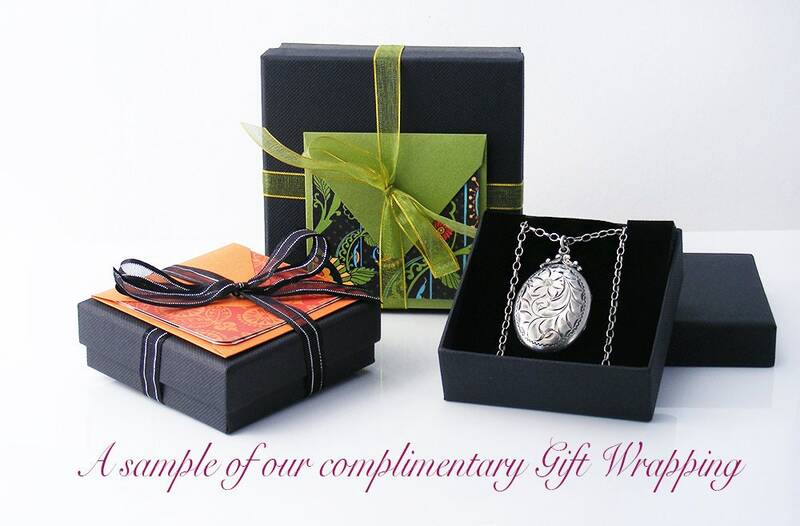 Pendant Size: .3 x .8 inches or 8 x 20mm in size and approximately 7mm in thickness. The total drop from the chain including the bail is 27mm. 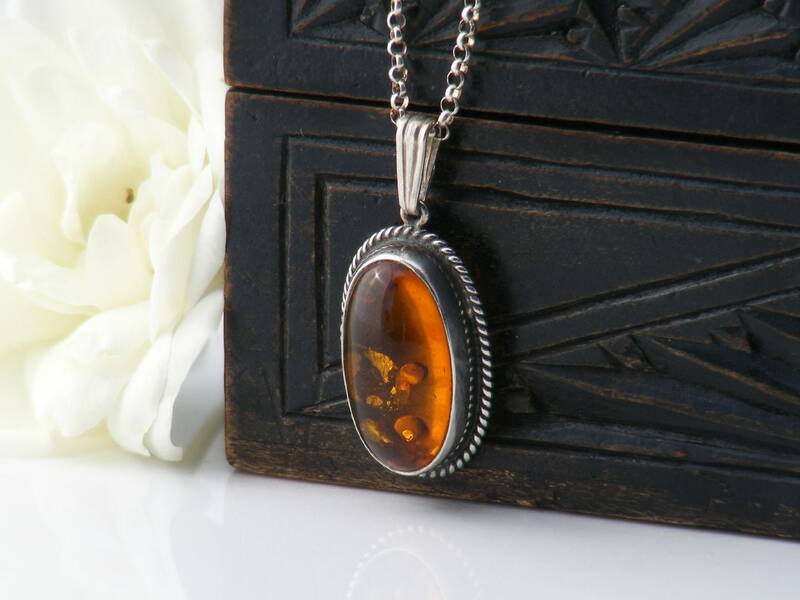 A dainty pendant, glowing and beautiful.